Regular readers will know that plants and flowers aren't really where my photographic interests lie, but last weekend I had to make an exception for the specimen above. It caught my eye at the top of the sand in Rest Bay, and thanks to fellow blogger Jeremy I now know it to be Sea Stock (matthiola sinuata). At first I wondered if there could have been two different plants growing from the same spot, but it turns out that the area to the left is actually the flowering part of the plant and would have been awash with small pink flowers a month or so ago. I suspect that it has grown apart from the leafier section in this manner to avoid the strong winds that frequently blow in along the coastline here (the sea is situated directly to the right of the photo). Considering its distinctive appearance I was surprised that I'd never seen any growing elsewhere in the UK. 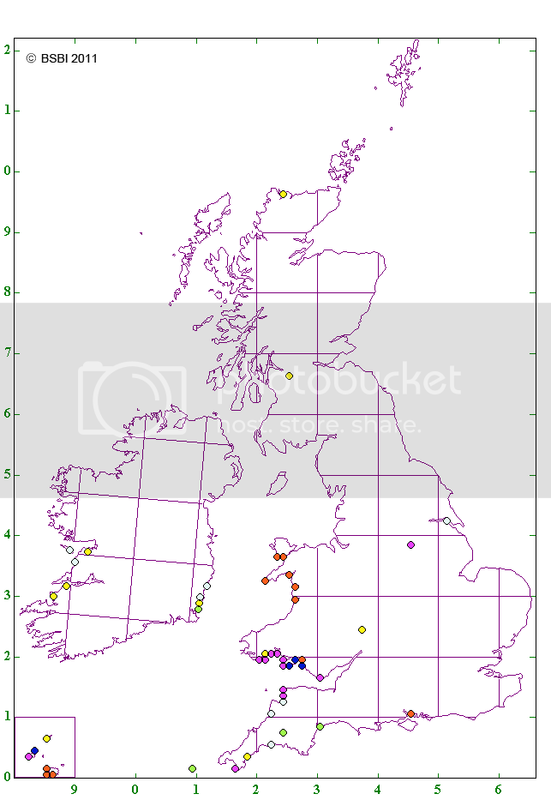 The reason for this may be explained best by the following map, which plots sightings of Sea Stock since 1930. As the large areas of white space can attest to, Sea Stock is most definitely a rare plant on these islands and we represent the very northern edge of its range. Indeed it seems that our little piece of South Wales is one of the few areas where it is particularly abundant. Even here though the population seems somewhat variable and was actually thought to be extinct in Glamorgan from 1848, only to be rediscovered again in 1964. Hi Adam, I first saw this plant in the late 90s growing on Swansea Beach when I first started visiting Swansea (before I moved here). I didn't know what it was, and couldn't find it in any of my I.D. books. It was only when I stumbled on a picture of it in a book on rare British wild flowers that I realised what it was. 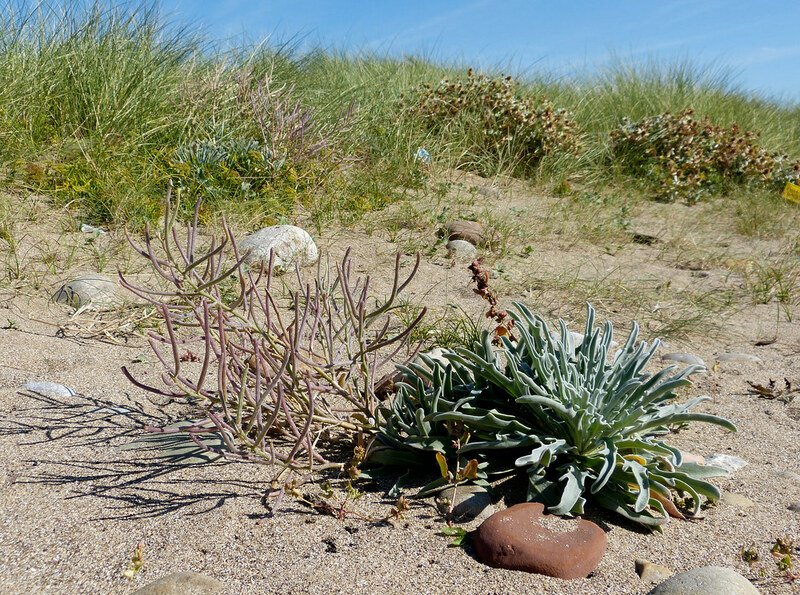 It seems to be spreading on Swansea Beach, as a large plant appeared up towards West Cross this year, and the strange and sudden appearance of several large seedlings leads me to think that someone is deliberately planting it to encourage its spread. I've also seen it at Oxwich and Three Cliffs Bay this year. Nice to know it is also present at Rest Bay. Glad I could help on the I.D.! That's one I'll have to look out for while I'm visiting Wales. Jeremy - thanks for the extra information. Keith - I'll be interested to hear if you find any.